Eerdmans Books for Young Readers, 9780802854209, 34pp. Brother Giovanni is a happy man, content to do what he knows best: baking. But all is not well at his monastery, where the monks are trying to teach the children their prayers in time for a very important visit from the Bishop. 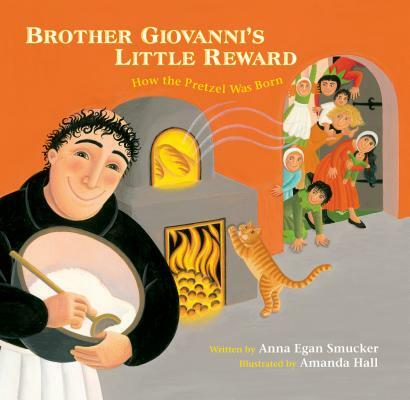 Having tried everything, they turn to Giovanni -- but he doesn't know anything about teaching Eventually, though, Brother Giovanni discovers how to use his gifts to offer the children the perfect motivation. This vibrant book, which includes a historical note and free recipe, tells the fascinating story behind one of the world's most popular snacks. Anna Egan Smucker has been writing children's books for over twenty years. She currently teaches writing workshops for children and adults. She lives in West Virginia. Visit her website at www.annasmucker.com. Amanda Hall has illustrated a number of picture books, including The Fantastic Jungles of Henri Rousseau (Eerdmans), which won the PEN/Steven Kroll Award. Amanda lives in England. Visit herwebsite at www.amandahall-illustration.com.